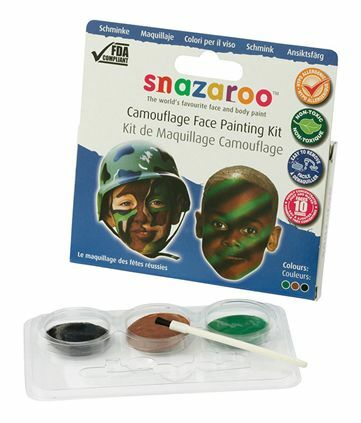 3 colour face paint pallette. Camouflage: Black, brown and green. Paint up to 10 faces. Non toxic and safe. Water based face paint.